Join us for Lunch waterfront on Cape Cod Bay! All meals subject to 7% Massachusetts meals tax. We honor Visa, MasterCard, Discover, American Express and Diners Club. No Personal Checks. 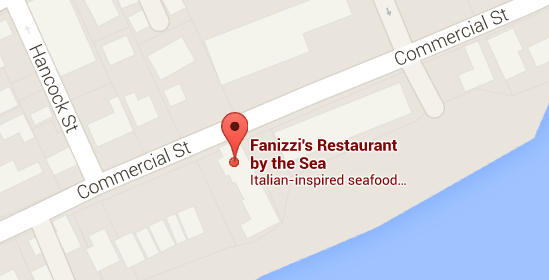 All of us at Fanizzi’s want to thank you for your patronage!